We have a special announcement: Travis earned a trophy for finishing 3rd place among all schools in the Northwest Area of HISD during October for total time read on myON. That’s 3rd place out of 46 schools! Congratulations to all of our students who have been reading stories on the computer with myON! 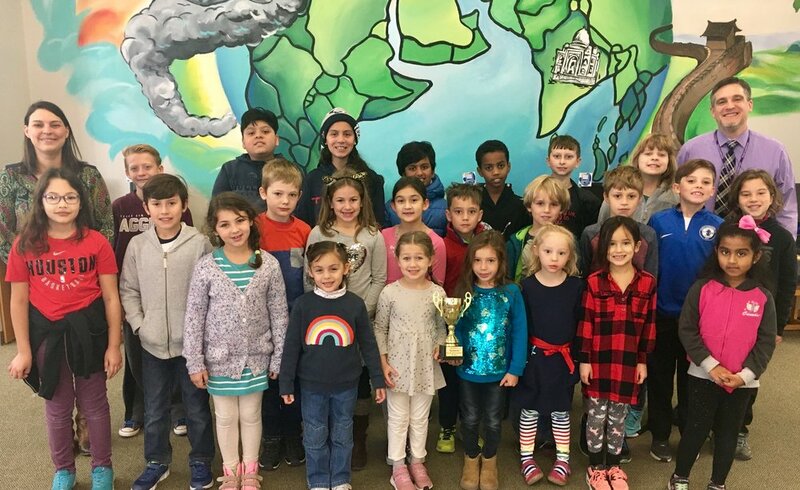 The picture below showcases our trophy and the winners for the weekly challenge since we have started the districts Read to Succeed challenge with myON. We know our students are also reading with other programs and traditional books, and we want you to keep up the good work reading however you choose, because we are proud of all of our readers! K: Victoria S. – 346 minutes WOW! 4th: Mattias S. – 523 minutes WOW!